If you suffer from anxiety, the constant, nagging feelings of worry can be troubling and hard to control. These feelings are usually intense and out of proportion to the actual troubles and dangers in your everyday life. They can make it hard to function at home, at work, or in social situations. Anxiety can be treated with medication, but several mind-body approaches may also be effective. Hypnosis is sometimes used along with cognitive behavioral therapy to treat anxiety. It can help people focus their attention, rethink problems, relax, and respond to helpful suggestions. Hypnosis relies mainly on your ability to concentrate and on the trust you have in the therapist. If you are interested in hypnosis, discuss it first with your psychiatrist or psychologist. She or he can help you find a qualified practitioner. Biofeedback measures specific body functions, such as heartbeat or breathing, and feeds this information back to you in the form of sounds or lights. This can help you become aware of your body's responses and learn to control them using relaxation and cognitive techniques. You can practice different relaxation techniques while attached to biofeedback equipment and get immediate sensory input about which techniques produce the desired results, such as slowing the heart rate or relaxing tense muscles. The hope is that this extra feedback helps people find — and refine — techniques that can calm the body and reduce anxiety. Other relaxation techniques that may ease anxiety include deep (diaphragmatic) breathing, visualization, and body scanning. To practice this technique, begin by finding a comfortable, quiet place to sit or lie down. Start by observing your breath. First, take a normal breath. Now try taking a slow, deep breath. The air coming in through your nose should feel as though it moves downward into your lower belly. Let your abdomen expand fully. Now breathe out through your mouth (or your nose, if that feels more natural). Alternate normal and deep breaths several times. Pay attention to how you feel when you inhale and exhale normally and when you breathe deeply. 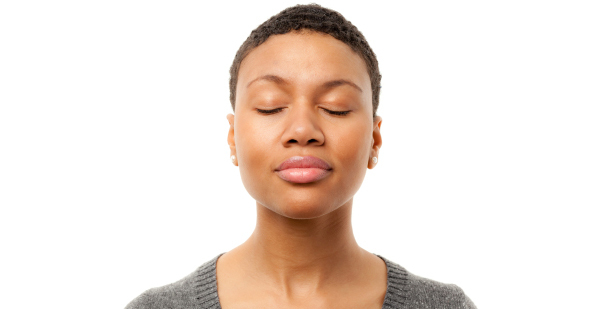 Shallow breathing often feels tense and constricted, while deep breathing produces relaxation. Continue this for several minutes. Put one hand on your abdomen, just below your belly button. Feel your hand rise about an inch each time you inhale and fall about an inch each time you exhale. Your chest will rise slightly, too, in concert with your abdomen. Remember to relax your belly so that each inhalation expands it fully. Try to practice this breathing technique for 15 to 20 minutes every day. You might also try shorter bouts lasting a few minutes when anxiety begins to build, to see if this feels calming. To learn more about how to keep anxiety and phobias from interfering in your life, buy Coping with Anxiety and Stress Disorders, a Special Health Report from Harvard Medical School. Foot massage: The pause that refreshes and is good for you!